When they mentioned the film and Naji, there was a silence that came over all of us. We weren’t sure if we’d heard correctly. And then we started yelling and cheering. It was an amazing moment. Jordan has many young talents who carved their expertise in the film industry in the past few years. Yanal Kassay worked on international productions including hollywood blockbusters such as The Mummy Returns and The Hurt Locker. He took on the challenge of bringing his skills into local production. The success of Theeb in Venice Festival this years may give us an idea about how far the Jordanian Film industry reached. It has only been a decade, but things are shaping up for a brighter future. 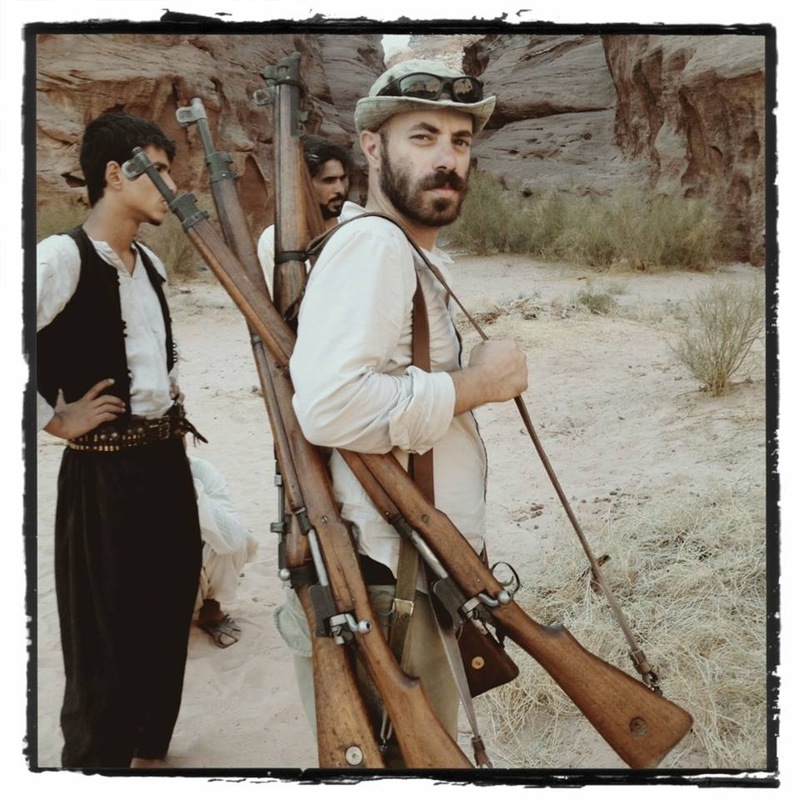 I had the chance to interview Yanal and ask him about his experience in the film industry, his work on Theeb, and how he sees Jordan’s film industry going forward. Fadi: Hi Yanal, you must be very excited about the big success of Theeb in Venice. 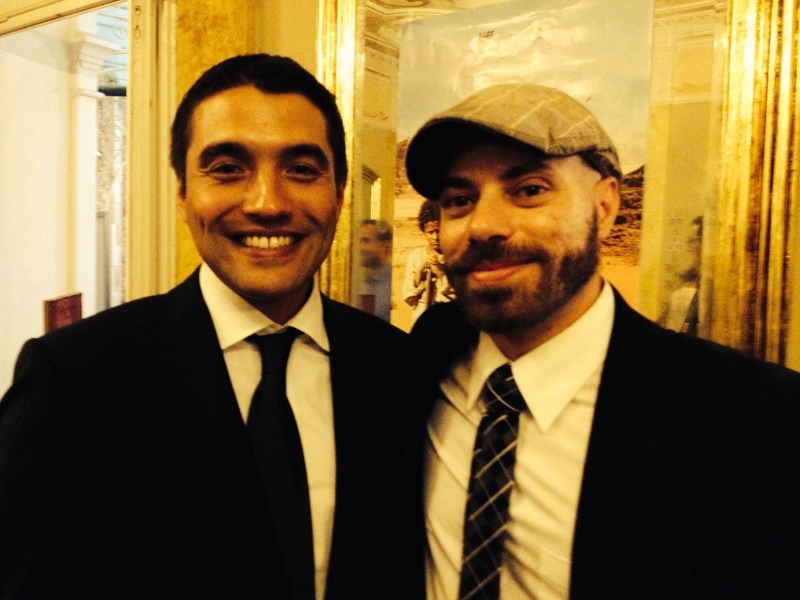 We are all equally excited back in Jordan for the film and for the best director award for Naji Abu Nowar. Tell me more, where you there at the festival? did you expect this success? and what was your reaction when first new about the award? Yanal: I’m extremely excited about the successes of Theeb so far, and I’m looking forward to seeing how it is received in the other festivals and screenings. We were there – I didn’t want to miss its global premier. We – the entire crew – put so much of ourselves into making this film. It was a true project of passion for a lot, if not all, of us. As to whether we, or I, expected this success, it’s a difficult one to answer. 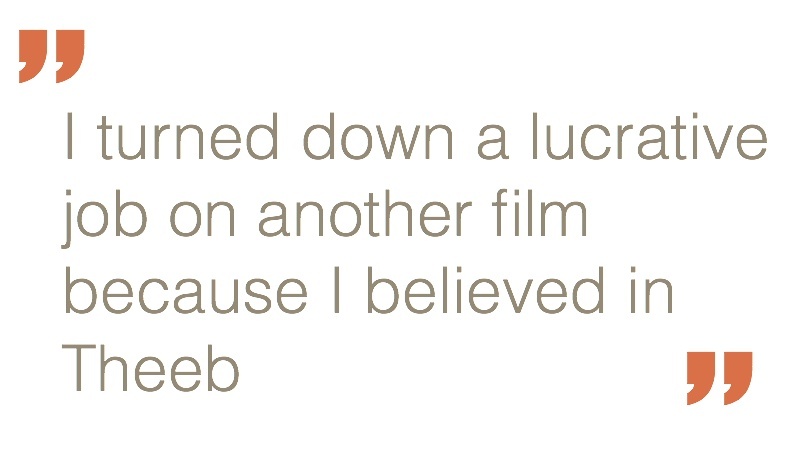 I turned down a lucrative job on another film because I believed in Theeb – I believed in the producers and in Naji. I loved the story and their vision, and the fact that it really felt like a Jordanian project. I knew it was an ambitious film, I knew they had been working on developing it forever, and had even approached me long in advance of preproduction. And at the time I was telling people I had made my decision because I believed the film would do something no other Jordanian film had done. So in that regard, I expected it would be a success. But you always wonder how that will translate, how it will be received. You stress out about it. And we were very stressed out up until the screening. Watching a film you put so much into, it’s difficult to be objective, so a lot of it comes down to the reaction of the audience to make you realize it was all worth it. But the reaction, the standing ovation, having the main cast there and seeing their reactions to all of it – that was all the success we needed. We were very proud at that moment. The audience surrounded the cast with a standing ovation. And then to see the utter joy and pride in the faces of these great guys who believed in and gave so much to the film, to see how touched they were by the reaction – that was overwhelming. When we went to the award ceremony, we didn’t know what to expect, but we didn’t invest emotionally in a win, in that we didn’t want to get our hopes up, but it’s difficult – you can’t help but hope. When they mentioned the film and Naji, there was a silence that came over all of us. We weren’t sure if we’d heard correctly. And then we started yelling and cheering. It was an amazing moment. The screening, seeing many of the crew and the cast in Venice, the award ceremony – they were all such amazing moments. Fadi: Yanal, you played the role of the 1st Assistant Director, and Associate Producer on Theeb. I am curious to know more about the production phase and your role. In brief, tell me: What does a 1st Assistant Director/Associate Producer do? How long did the production take? How smoothly did it go? 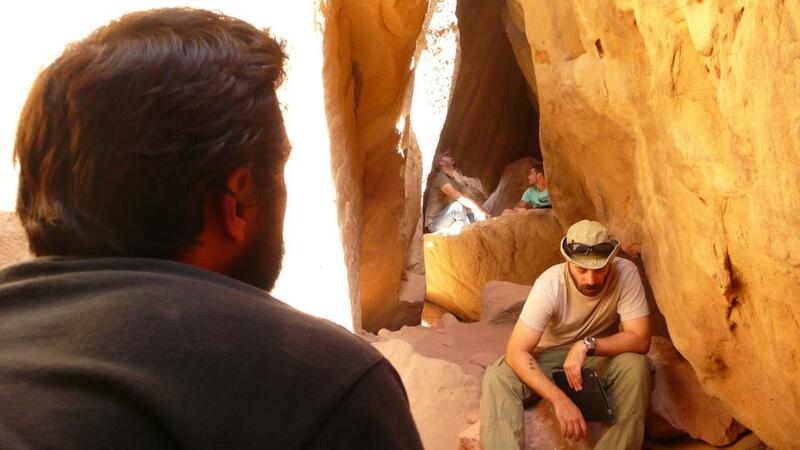 What were the challenges you faced to bring another Jordanian film up to life? Yanal: It is difficult to describe what an assistant director or associate producer do in brief, partly because there’s nothing about the role that isn’t complicated. The relationship between an AD and the director is complicated, and it’s completely different from the relationship between an AD and a producer, which is also complicated. It is also difficult to explain because it is very project-based. A lot depends on the rest of the team, particularly the producers and directors, as well as on the experience-level of the rest of the crew. A friend of mine once said that the AD department is like the nervous system of the film, and that’s not wrong. I basically have to know everything regarding the other departments. I knew the script by heart – Naji and I would almost have our own scene-based language on set, and how we intended to shoot it. I will decide what scenes we’re shooting when and I’ll know why (because you generally don’t shoot a film in sequential order). I’ll organize tech recess, make-up tests, I’ll know when actors are available, when locations are ready, I’ll look at weather and light changes throughout the shoot, holidays – all of that goes into scheduling. And budget, which is Diala, will play a heavy role in all of that too. I also have to be able to make very quick decisions that will affect the rest of the shoot, because we have working hours to keep in mind, and a certain number of days in which we can shoot. So if the producers would come to me while filming and tell me that based on the edit so far, we need to fix something, then I might have to wrap the crew on the spot so that we can bring them out the next day. Certain things you can’t fix – sand storms are not very predictable, and when we shot at one of the wells, a storm suddenly hit and we were at risk of a flash flood – we had one of the Bedouins that was helping us specifically keep an eye on water levels on the upper rocks, and eventually we had to evacuate the entire crew on that day. And then we need to figure out how we can get that day back. There are so many stories of challenges we faced, but we faced them as a team, and that’s what was important. Theeb took about 5 weeks to shoot. We could have used more, but there are budget issues to take into account, as well as crew availability and so on. About how smoothly it went, I mentioned before it was an ambitious project. It was going to be extremely tough because of that, but the crew made it all possible. The passion that went into the project by Naji, Basel Ghandour and Rupert Lloyd (producers) was infectious. Our executive producer (Nadine Touqan) and the co-producers (Laith Majali and Nasser Kalaji) were heavily involved too. The whole crew believed in the film, and made serious compromises in order to achieve that vision. We became a family. That happens a lot with filming crews, but Theeb was beyond. We lived in a camp together in tents and became very close. 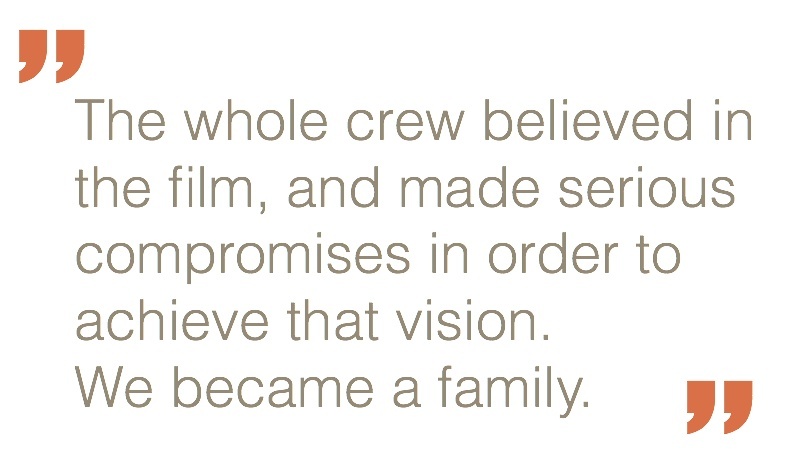 Even still, all of the crew that worked on Theeb is a family. And I like to think that everyone that didn’t work on it wished they did. It was that kind of job – incredibly tough, but so worth all of the sweat and blood that went into it. Fadi: I checked your IMDB profile and realised you have impressive past record working on top notch international films. Your portoflio lists The Hurt Locker (2008), Zero Dark Thirty (2012) and Fair Game (2010). How did you manage to secure roles in such big blockbusters and how did that help in shaping up your expertise and carve your skills to take on Theeb’s challenge? How do you compare Theeb to such big budget films? 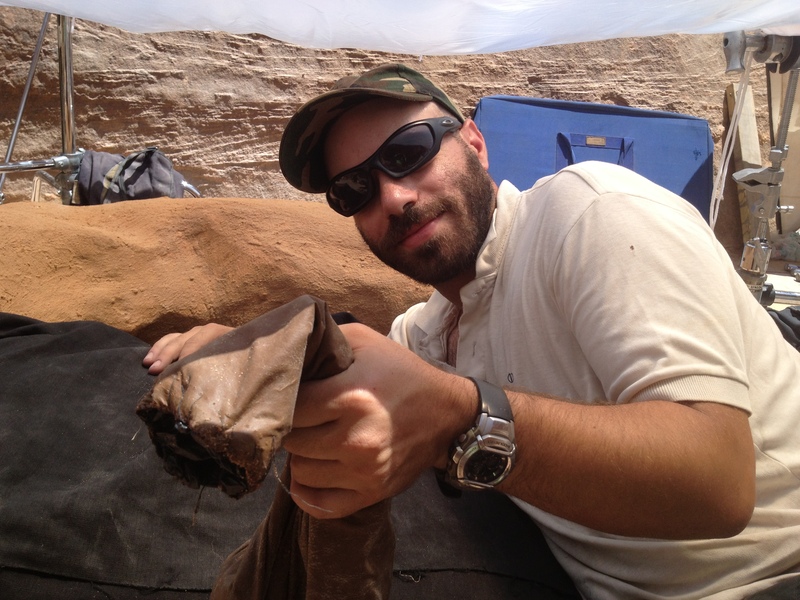 and how do you compare your experience working in a Jordanian film vs a Hollywood one? Yanal: Personally, I loved working on Transformers because I’d never flown in a helicopter before, but that’s not what makes a film important. It’s not about having a huge budget. It’s more about having a story to tell and the need to tell it and making do with what you have to deliver the best film you can. I wanted to work on a film that I could see being someone’s favorite movie. And as many attempts as there were, Naji’s passion for and knowledge of cinema was a natural draw for me. Now I primarily work on independent and Jordanian films. Theeb was the start of that. I’m proud of the work I’ve done on the big-name productions, but I like to think I’ve reached a point where I can choose to work on films that I love, with people who have a vision and who want to go somewhere with it. When I started working in film, there wasn’t a huge industry in Jordan, but even then your performance on every film was likely to affect whether or not you got that next job. We do this job because we love it, but not everyone is cut out to work on a film. It might seem glamorous, but it really isn’t – it’s a lot of hard work. Grueling hours and sometimes intense weather conditions, and you have to keep going. It’s also very difficult to have a life when you work in film. It takes up so much time and energy, and you rarely will see your friends who don’t work in the field – it’s difficult to explain to people that it really is a full-time job like no other. And then when you’re done with a project, you’re done – you become a family struggling together like that, and then often you won’t see some of those family members again. It’s not only physically and mentally hard work, but it can be emotionally exhausting as well. Much of the work in the early days were on big foreign productions. In fact, I worked on The Mummy Returns back in 2000. But as it went on, more people in Jordan started thinking, “I can do that,” and so a real Jordanian industry started to blossom in parallel with a surge of foreign productions filming in Jordan. 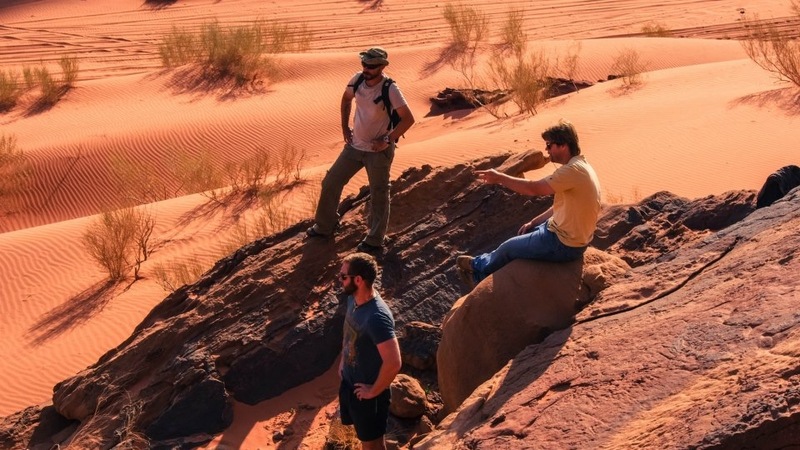 But a lot of Jordanian films weren’t getting the top Jordanian crew – the crew that had sharpened their skills on the international productions. It’s still the case that some of our best crew will generally take the big-budget Hollywood job over the local production, and I can understand that. But I didn’t want to have learned the skills I learned on those projects and not use them to be part of something that could be great. Hopefully the success of Theeb will change people’s minds on that. It already has. It was a first for a lot of us and in a lot of ways – it was an opportunity for us to invest ourselves and our skills into something special and something ours. Fadi: We have many young talents in Jordan. The Royal Film Commission has done a tremendous job in building the capacity of talented Jordanians in the field. We have seen few features in the past couple of years but the industry is yet to mature. How do you assess the state of the film industry in Jordan? What would you say are the major highlights of the past few years and the challenges ahead of us? 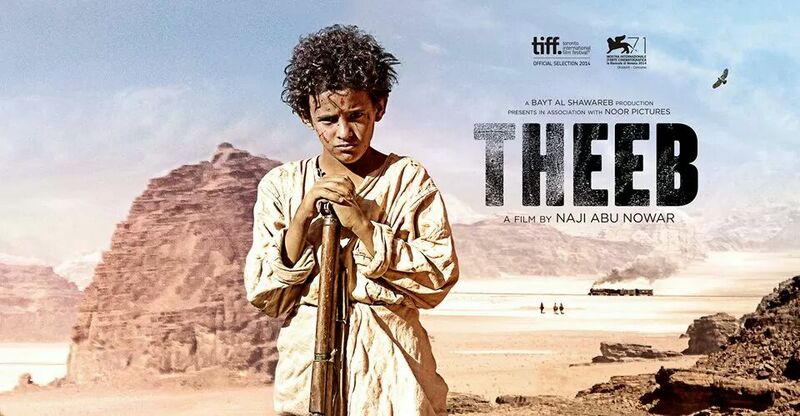 and how much do you think Theeb’s success will help in pushing the industry forward? Yanal: We’re still in a place right now I think where collaboration is key more than competition. A lot of people are guarded when it comes to their positions or the films they’re working on. I think we need to continue to build a strong crew and to talk to each other. If I think someone has the potential to be a great AD, I’ll try to pull them in that direction. My biggest competition have become my closest friends. And we protect each other. At the same time, young filmmakers have to keep in mind that it’s a lot of hard work, and the more experienced you become, the more responsibilities you will have to take on, the more difficult the work becomes. A lot of people I meet now sell themselves as ADs who have no experience or aren’t very good. That doesn’t make Jordan look good when someone comes here looking for an AD and someone wants it but refuses to appreciate the work and years that goes into it. It takes more than a copy of Excel, a degree, or just one experience on a commercial before you can call yourself an assistant director. In my mind, we also should be concerned about becoming a factory of film. Heart will always be important in the creation of great works – and the fewer powerful projects will do so much more for us than a slew of weak productions. My hope is that Theeb will put that in people’s minds, and will also inspire a lot more Jordanians to reach for something great and to make great cinema. Fadi: The film hasn’t hit Jordan’s cinemas yet. We are too eager to watch it after this huge success. When do you expect it to be on the big screen? Yanal: It’s difficult to explain to people why it has to hit the festival circuit first, but it’s for the best. I’m not the one to ask. I’m very excited to see how it is received. I’ll be in the back of the audience at more than one screening. More than any other screening, I’m looking forward to the one that brings it to Jordan. Fadi: It is also participating in Abu Dhabi Film Festival this year which is happening next week. Theeb’s showing is going to be on October 26 and October 28. I will be in Abu Dhabi in that period and will make sure to attend the film and write my own review. How important are such film festivals to the success of a new film? Yanal: Hugely important. The amount of people I’ve met in Jordan who have heard about it is overwhelming. For such a tiny project with such huge ambitions, the word-of-mouth news about it is so great. I’m happy that before it comes home, it gets the proper appreciation abroad, so that by the time it gets here people know it’s hopefully worth watching, and remember that it’s ours. If you are in the UAE during the Abu Dhabi film festival, don’t miss the chance of watching this great film. Book your ticket now. Reblogged this on Christianity And Islam.